" CB | 1 " CMG | 1 " CMG DSO | 1 " DCM | 1 " DSO | 10 " DSO TD | 1 " MC | 31 MVO | 1 "
House: No 9, 1905 - 1910. Regiment: Royal Horse Artillery. Died: 28 February 1917 aged 26 in France. Killed in action. Born May 27th 1891, at Springfield, Leigham Court Road, Streatham. Father: Edward Horsman Bailey, lived at 5 Berners street, London and Foxholes, Chipping Norton, and was a solicitor. Mother was Jane Bailey, formerly Rose. Middle V�VI. School Prefect. Head of House. Editor of Malvernian. Shooting VIII; House XI Football. Cadet Officer. Brasenose College, Oxford; B.A. 1914. 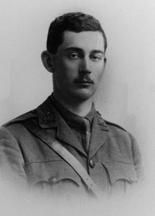 Great War, 2nd Lieutenant E. Anglian Brigade R.F.A. 1914; Captain R.H.A. M.C., Despatches. 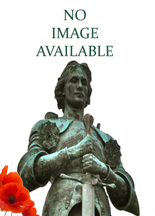 'By the death of Guy Bailey the Service has lost an Artillery officer of no small promise. His interest and keenness in soldiering was of long standing. At School he devoted an exceptional amount of time to work in the Cadet Corps. At Oxford his interests were divided between rowing and O.U, O.T.C. He rowed in his College Eight for four years, and was Sergeant-Major of the University Battery. On leaving Oxford he joined the 4th East Anglian Brigade R.F.A., and in March 1915 was selected for a commission in the Regular Artillery. He took part in the landing on Lancashire Beach on April 25th, and was one of the last to embark at the final evacuation of Cape Hellas. 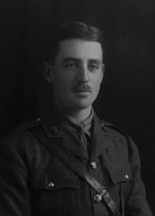 He was mentioned in despatches for work in Gallipoli and received the Military Cross. In August 1915 he was transferred to the R.HA., and a year later obtained his captaincy. For three months before his death on Feb. 28th, he was in command of his battery. As a boy he displayed and developed those qualities which marked his after career�a strong sense of duty, courage, force of character and no fear of responsibility. A bold horseman, well known in the Heythrop country, with a real love for horses, he was in his element in the Horse Artillery. Many will mourn the loss of a loyal friend and true sportsman. ' (Malvernian, Apr 1917). Lived at Foxholes, Chipping Norton, Oxford. As a Lieutenant, took over command of a neigbouring battery during the prelude to the battle of the Somme on the 28th June 1916 as its Commanding Officer was injured. Killed by a shell at about 3pm on the 28th February 1917. At time of death was a Captain, but acting Major, which was subsequently confirmed. His effects went to his father, with the exception of his pocket book which was of an intimate nature, which went to Mrs Mainby Luxmore, 5 Cumberland House, Kensington Palace. House: No 1, 1898 - 1900. Regiment: South Staffordshire Regt. Died: 17 April 1918 aged 35 in France. Died of wounds. Born 28th June 1883. Son of H. Barlow, Goldthorn Hill, Wolverhampton, b. 1883. Great War, Private Public Schools Batt. 1914. 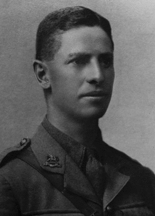 'Captain Osborn Barlow, who died of wounds, in France, on April 17th, enlisted in the Public Schools Battalion, and went to France in the autumn of 1915 as a Private. He received his commission in the South Staffordshire Regiment at the beginning of 1917, and in July of that year he was gazetted Captain and was awarded the Military Cross. He had been three times wounded.' (Malvernian, Jun 1918). 12.10.1917. Houthurst Wood. A bullet passed through the soft parts of left forearm between the bones. No injury to bones, vessels or nerves. The wound has healed. (8th Nov 1917). House: No 1, 1904 - 1908. Regiment: Connaught Rangers. Died: 21 March 1918 aged 29 in France. Killed in action. Son of Sir Malby Crofton, 3rd Bart., and Lady Crofton, of Longford House, Ballisodare, Co. Sligo. Middle IV�Modern I. School Prefect. XL Football; House XI Cricket. Trinity College, Dublin; B.A., B.E..
Great War, Private Canadian Highlanders 1914; Captain 3rd Bn. attd. 6th Bn. Connaught Rangers. 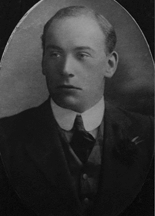 'A kindly, unassuming nature, and a quick perception of duty were marked characteristics in him, and the following account from The Times proves that he served his country with that keen loyalty he had shown for his School and House: "Captain Thomas Horsfall Crofton, M.C., Connaught Rangers, killed on March 21st, graduated as an engineer at Trinity College, Dublin. 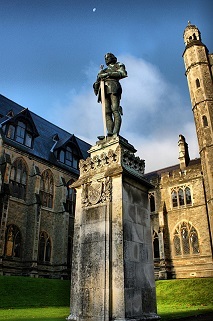 He afterwards went out to British Columbia, and directly war was declared he enlisted there as a Private in a Canadian Highlander battalion, and came to England with them; but early in 1915 he obtained a commission in the Connaught Rangers, his local regiment in Ireland. He earned a "parchment" and a Military Cross by his recent conduct at the front." ' (Malvernian, Jun 1918). House: No 3, 1912 - 1914. Regiment: Warwickshire Yeomanry. Died: 15 July 1918 aged 20 in France. Died from exposure in torpedoed ship. Born March 18th 1898. Son of Henry and Elizabeth Gilman (Oil and Colour merchant), Nuthurst Grange, Hockley Heath, Warwickshire. Lower Modern II � Modern I.
Articled to a Chartered Accountant. 'R. J. Gilman, like his elder brother, will always be remembered here for his simple, straightforward character. He had grit and determination which carried him up the School and gave every promise of success in the future. 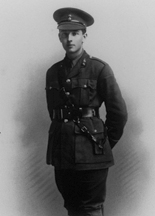 His Major wrote of him: "Young, keen and popular with everyone: just the right fellow to make an ideal officer"; and that is exactly what his friends here would expect him to be. 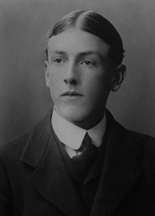 He obtained his commission, in December 1915, at the age of 17. 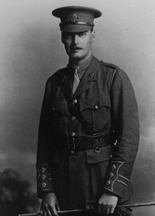 He served in Egypt and Palestine, and was wounded on Nov. 8th, 1917, in charge of the Yeomanry. After this action he was recommended for the Military Cross, but he did not receive it. On his way to another front his ship was torpedoed, and he was one of the few to go down with her. The shock and exposure are believed to have been the cause of his illness and death, three weeks after his arrival, in a military hospital abroad.' (Malvernian, Nov 1918). On 8th November 1917, he sustained a gun shot wound just below the left shoulder. House: No 5, 1904 - 1908. Regiment: Yorkshire Regt. Died: 26 November 1917 aged 27 in France. Killed in action at Bourlon Wood. Born Aug 24th 1890. Son of Mrs. J. Harris, of 3, Leven St., Saltburn-by-the-Sea, Yorks, and the late Col. J. Harris, V. D.
Upper IV B�Modern I. Chance Prize. XXII Football. 'Jack Harris left School young, to go into business, but remained a faithful Malvernian, and enlivened many winter gatherings in the House with his inimitable whistling and general good spirits. He was the only son of a widowed mother and single-handed in his business, but he felt called to join up in 1915, and was commissioned March 16th, 1915, Captain, May 1916, in the Yorkshire Pioneers. After spending some time at Cannock Chase Camp, he went to France June 1916 and received the Military Cross for excellent work during the year, especially when in command of a company, always getting the best out of his men. He was reported "Missing" November 26th, 1917, when he was out with two R.E. officers looking over very important ground at Bourlon Wood. They were surprised and fired on by the enemy. The others reached a sunken road, but Captain Harris was never seen again. It is presumed that he was killed and buried by the Germans. One of the R.E. officers crept out to look for him and was instantly killed, and the search parties could find nothing. His men loved him, and say they would follow him anywhere. He was splendid in danger.' (Malvernian, Nov 1918). Captain J.A. Harris was in Z Coy. 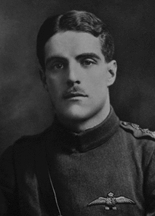 On Nov 20th 1917 he went out reconnoitring for defensive work in front of Bourlon Wood with Major Johnson V.C. of the Royal Engineers and Major Clarke R.E. They were caught by a party of the enemy and fired on. Major Johnson was shot in the throat, Major Clarke escaped and reported the affair saying Major Johnson and Capt Harris were dead. House: No 8, 1898 - 1901. Regiment: Welch Regt. Died: 09 September 1916 aged 32 in France. Killed in action at High Wood. Son of Alfred and Ellen Dorothy Hayman, of Great Elm, Frome; husband of Marjorie Hayman, of Cromarty, Elmsleigh Rd., Weston-super-Mare. b. 1884. Modern IV�II. House XI Football. 4th Batt. Welch Regt. ; retired 1911. Great War, Private Canadian Mounted Rifles 1914; Captain 3rd Batt. Welch Regt. "A" Coy. 2nd Bn. Welsh Regiment. 'After resigning his commission he married, and went to Canada to take up farming He was doing very well there when war broke out, and he joined the Canadian Mounted Rifles and returned to England. Upon his return he re-joined his old Regiment, was made Captain last December, and left for the front (France) early this year. He went through a great deal of very hard fighting, in which he showed conspicuous bravery (as those who knew him here felt sure he would); while his good nature made him very popular both with officers and men. He was wounded early in July, but was soon at the front again, and was killed while leading his Company into the front line on Sept. 9th.' (Malvernian, Nov 1916). He was killed in action while leading his company at High Wood. He was awarded the Military Cross "For keeping his men together a whole week in the front line under terrific shell fire. Although wounded the first day, he refused to allow himself to be sent back, and was buried three times. 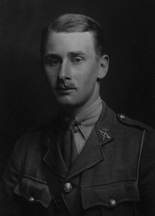 He acted with great gallantry and set his men a splendid example.� The Brigadier-General of the 1st Division wrote "He was certainly one of the best company commanders in the brigade, and had done most excellent work only last month, where his energy and fearlessness were most conspicuously shown. He is a real loss to us,� and his Commanding Officer: �I thought you would like to know how much I valued him, and how highly I thought of his abilities as a soldier.� A brother officer also wrote: "It may be a great consolation to you to know that he was beloved by the officers and men of my battalion. I have known him for the past twelve years. I had the very highest opinion of him.� and another: �I look back on all my friends who have gone, and above all stands one � a little higher, a little nobler, a little finer than all the rest � your husband." House: Sch, 1901 - 1905. Regiment: East Yorkshire Regt. Middle IV B�Modern II. House Prefect. House: No 1, 1902 - 1906. Regiment: Gordon Highlanders. Middle IV�Lower V. House Prefect. House XI Cricket and Football. House: No 5, 1904 - 1907. Regiment: 12 Sq. 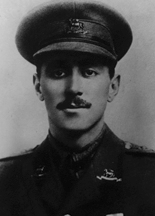 R. F. C.
Died: 27 May 1917 aged 27 in Belgium. Killed in action. Son of William and Constance McArthur, of The Meadow, Chislehurst, Kent. b. 1890. Middle Shell Lower V. XL Cricket. Great War, mobilised 1914, Lieutenant; Captain 12th Sqdn. Royal Flying Corps and Honourable Artillery Company . Killed in action May 27, 1917; M.C., Despatches (2). 'A member of the H.A.C. 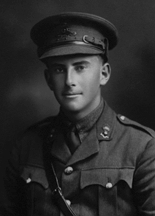 before the war, he left for the front with the first contingent in September 1914, and in June, 1915, was awarded the Military Cross for conspicuous bravery in an action, in which he was severely wounded (on June 16th near Hooge, Ypres). On recovery he entered the R.F.C. and since October, 1916, has been engaged at the front. He was mentioned in despatches twice and was gazetted Flight Commander last January. His School career was not marked by any striking performances owing perhaps to his leaving when only 17. His chief interest was in amateur carpentering�especially in the form of building models of boats, at which he showed special ability.' (Malvernian, Jul 1917). House: No 1, 1889 - 1889. Regiment: Bedfordshire Regt. Died: 02 June 1918 aged 43 in United Kingdom. Died of illness contracted on active service. Son of Henry Edward O'Neill, Pinehurst, Heathfield. b. 1815. Bedfordshire Regt. (from Militia) 1896; Captain 1902; retired 1908; East Africa 1901�02, Despatches (2), Medal with Clasp; entered service of Colonial Office 1908; Assistant District Commissioner Uganda, 1910. Great War, re-joined Bedfordshire Regt; Major Middlesex Reg. 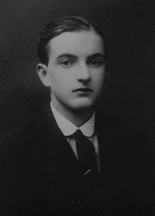 Husband of Margaret Theodora O'Neill. Citation to Military Cross: 'For conspicuous gallantry and devotion to duty in making a most daring personal reconnaissance of the enemy's wire. Accompanied by an N.CO, and two runners, he crawled through a gap in the wire and got in rear of the enemy's post. Finding it occupied by two of the enemy, he shot them in the legs with his revolver and took them both prisoners. He set a fine example of initiative and gallantry to his battalion'. House: Sch, 1900 - 1906. Regiment: Royal Warwickshire Regt. Died: 12 August 1916 aged 29 in France. Killed in action at Bazentin-le-Petit. Son of W. A. Onslow, Preston Bagot House, Henley-in-Arden. b. 1887. Lower V�Lower VI. House Prefect. House XI Cricket. Keble College, Oxford; B.A. (Second Class History) 1909. In business; worked for many years at the School Mission. 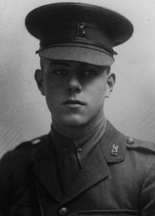 Great War, Australian Voluntary Hospital 1914 (overseas); 2nd Lieutenant Royal Warwickshire Regt. M.C. 'Arthur Onslow was a most painstaking, earnest-minded boy at School. His ability was above the average, and he always did his best all round. He had hoped to be ordained, but an unfortunate tendency to stammering stood in his way. But he went to the School Mission and did most excellent work there for some years. At the outbreak of war he (and other members of the Mission Staff) joined the Australian Voluntary Hospital. 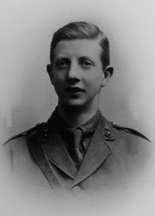 In May 1915 he returned to England and received a commission in his own county regiment (the Royal Warwickshire). Nearly a year later he went to the front, where he distinguished himself over and over again. Recommended for reward for his gallantry on July 15th, he met his death on August 12th, while bravely leading his men in a grenade attack on a specially difficult position. His name appeared in the Gazette on September 22nd, and in the list of those to whom the Military Cross had been awarded. He was quiet and unassuming, but his character was remarkably strong, and he was greatly loved.' (Malvernian, Nov 1916). House: Sch, 1905 - 1909. Regiment: Duke of Cornwall's Light Inf. Died: 24 August 1916 aged 25 in France. Killed in action. Son of E. Oudin. b. 1891. Upper IV A�Matriculation Class. House Prefect. Ledbury Cap. Great War, Private Royal Fusiliers 1914; Captain Duke of Cornwall's L.I. 'At School he was a keen runner, a singer of some promise, and a boy of blameless character. He "came on" considerably during his last year, and it is no surprise to those who knew him that his record in the service is so distinguished.' (Malvernian, Nov 1916). The Times: "Captain Oudin enlisted in the 2nd (City of London) Royal Fusiliers on August 5, 1914, and went to Malta with the regiment, returning in December to take up his commission. 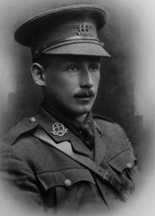 He went to the front in July 1915, and was decorated with the Military Cross for a conspicuous act of gallantry. The official report stated that when cut off in a bombing post with a machine-gun and a few men, he held his own under a very heavy bombardment, and, when attacked, successfully repelled the enemy. He received his Captaincy in July. He was killed in action on August 24th." House: No 9, 1901 - 1903. Regiment: Highland Light Infantry. Died: 17 October 1916 aged 29 in France. Killed in action at Beaumont Hamel. Born 30th March 1887. Son of Joseph Ridley Shield and Mary Octavia Shield, Cardew, Alresford. Solicitor with Pugh & Co., Calcutta. Great War, 2nd Lieutenant 1914. 4th Bn. Highland Light Infantry attd. 51st Division H.Q. Staff; afterwards Staff Captain. M.C. 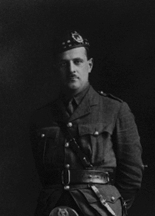 The Times: "He obtained a commission in the Highland Light Infantry in September 1914, was afterwards appointed Staff Captain, and went through the fighting at Ypres, and was sent to the Staff College in France. On leaving that he was appointed to a Divisional Staff. 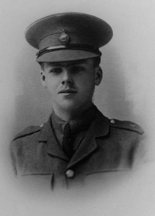 He was mentioned in despatches in 1915, and was afterwards awarded the Military Cross, He was killed on October 7th." His contemporaries at Malvern will read this record with pride. He threw himself heart and soul into his soldier life, and his General saw in him great abilities which combined with intense application and modesty would have carried him far. (Malvernian, Nov 1916). House: No 2, 1910 - 1913. Regiment: York and Lancaster Regt. Died: 02 September 1918 aged 22 in France. Killed in action at Vreaucourt. Son of J. Rodgers (O.M. ), 14 Endcliffe Avenue, Sheffield, b. 1896. 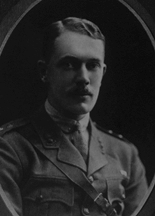 Great War, 2nd Lieutenant "D" Coy. 2nd/4th (Hallamshire) Bn, York and Lancaster Regt. 1914, Captain. M.C. 'After leaving School, John Rodgers spent several months in Dusseldorf. On his return from Germany he entered his father's business at Sheffield, but when the war broke out he promptly joined up. He had a long and varied experience of fighting on the Western front, and took part in many of the biggest battles from 1915 up to the day of his death. In the action in which he fell his battalion had made an advance when the enemy made a counterattack, and it was during this attack that he was killed by a machine-gun bullet. He had proved himself to be an excellent soldier, and well deserved the high praise given to him by his Colonel, who said of him that, if he had lived, he would have undoubtedly received a decoration. Those who knew John Rodgers at School had the greatest admiration for his high principles and blameless character. He would have made an excellent prefect, and his House was all the poorer that he left comparatively young.' (Malvernian, Nov 1918). House: No 6, 1904 - 1909. Regiment: Middlesex Regt. Died: 25 May 1919 aged 29 in United Kingdom. Died in England after operation. Son of J. P. Tatham, 16 Lyndhurst Road, Hampstead, N.W. b. 1890. Upper IV B�Lower Modern I. House Prefect. Ledbury Cap. Farmer in England; Tea Planter in Ceylon. Great War 1914-19 (overseas), Private Royal Fusiliers 1914; Lieutenant 14th Middlesex. 'After two years' of farming in England, he went to a tea plantation in Ceylon. At the end of 1914 he came over to England, enlisted in the Empire Battalion of the Royal Fusiliers. 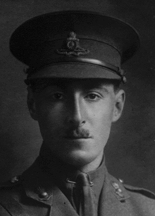 Early in 1915 he received a commission in the 14th Middlesex, and one year later joined the 11th Middlesex in France. He was invalided home in August 1916, suffering from shell shock. 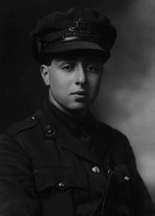 Later he was with the 1st Battalion, with whom he was serving when he was awarded the Military Cross. He was demobilised in March 1919. But the war had left its mark on him, an operation was considered essential, and he died, as the result of it, on May 25th, 1919. Another of those quiet, unassuming boys, who have proved their worth up to the hilt.' (Malvernian, Dec 1919). House: No 1, 1910 - 1914. Regiment: Manchester Regt. Died: 11 January 1917 aged 21 in France. Killed in action. Son of Percy Wright (Retired Farmer) and Annie Rebecca Thorniley, Shooter's Hill, Wem, Salop, and Hole Head, Dawlish, Devon. b. 1896. Upper V�VI. Minor Scholar. School Prefect. Head of House. XXII Football. Great War, 2nd Lieutenant Manchester Regt. 1914, Captain. 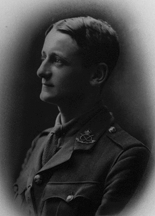 'Upon leaving Malvern, Arthur Thorniley was almost at once gazetted to the Manchester Regiment; and after spending a short time in training in England, he went out with his battalion to France in November 1915, and was made a Company Commander in the following year. 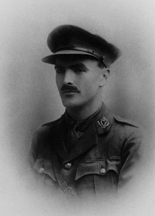 From the first he proved himself an excellent officer, and, after being wounded in November 1916, was awarded the Military Cross in the New Year's Honours Lists this year. At the time of his death he was acting Major, and had gained the esteem of all who were working with him. His Colonel writes: "He was positively one of the bravest of the brave, and a fine example of one who was able to pull himself together, and go again into a fight as if it was the first time. In this he was a valuable asset to the Battalion; though so young, he had great capacity for command, and exerted it to my entire satisfaction. In action he was always not only brave but wonderfully cool, and his reports to me of passing events were unusually lucid. In regard to the details of his death, I hear, in having gained his objective, he went up to where two Germans, who had surrendered and were 'hands up" were standing, and that then a third German shot him. This act was then and there avenged, for his men simply bayonetted every man they saw. 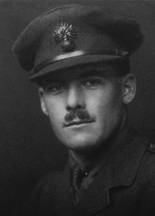 I can well understand how they felt, for every man in the battalion knew what his loss meant."' (Malvernian, Mar 1917). House: No 5, 1907 - 1908. Regiment: 10 Sq. R. A. F.
Died: 21 September 1917 aged 26 in France. Killed in action. Son of D. Ward, Lower Hall, Foxearth, Long Melford. b. 1891. Upper IV B�Lower Modern II. Birmingham University; First Class Diploma in Brewing 1910. Great War, Private R.E. 1914; 2nd Lieutenant N. Staffordshire Regt. ; Major R.F.C. 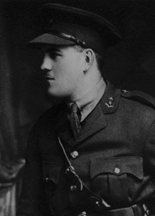 'Ward joined the North Staffords in April 1915 and subsequently transferred to the R.F.C., where he reached the rank of Major. He was awarded the M.C. in 1916 and a Bar in 1917 for fine work in artillery reconnaissance. He was killed in action on September 2, 1917' (Malvernian, Mar 1918). House: No 2, 1909 - 1913. Regiment: Machine Gun Corps. Died: 12 July 1918 aged 24 in France. Killed in action near Puchevillers. Son of S. B. Watson, Greenbank, Brigham, Cockermouth. b. 1894. Lower Shell�Lower VI. House XI Football. Great War, 2nd Lieutenant 11th S. Staffordshire Regt. 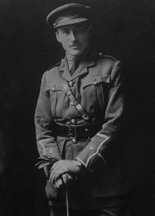 1915; Lieutenant M.G.C. 'The keen interest Charlie Watson took in all the details of School life endeared him in no small degree to the members of his House; and the news of his death has caused grief to all who remember the promise he showed. 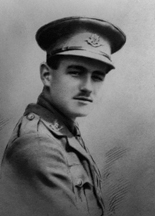 Upon leaving Malvern he entered Magdalene College, Cambridge; but in January 1915 he joined a Training Corps, receiving a commission in the following month, and was awarded the Military Cross only a few days before his death. In the early morning of 12th July last he was in the Support Line which was giving covering fire for an infantry raid, when a shell burst a few yards from him, inflicting wounds from which he died four hours later. His Commanding Officer writes: "my own sorrow at his loss is only equalled by my pride in having had such an officer under my command."' (Malvernian, Nov 1918). House: No 2, 1906 - 1911. Regiment: Royal Welch Fus. Died: 06 April 1918 aged 26 in France. Killed in action at Aveling Wood. Son of H. I. Wilson (O.M. ), 139 Bishop's Mansions, S.W. b. 1892. Lower Shell�Mathematical VI. Minor Scholar. House Prefect. 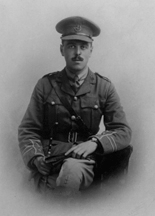 Great War, Lieutenant Royal Welch Fusiliers. 'His career at school in a general way, and more particularly the energy and determination he showed in endeavouring to reach the aim he had set before himself, gave certain indications of what might be expected of him when he arrived at the age of manhood. And the record of his work as an officer marks the fulfilment of these expectations. He made Mathematics his special study, and it was intended that he should go to Cambridge; but, owing to a change of plans, he went to Canada and joined Guelph College, Ontario. After he had finished his course there, he was appointed to do work under the Canadian Government, and he was engaged on this when the war broke out. 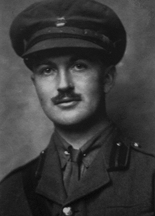 The action for which the Military Cross was awarded to him is spoken of, in the official announcement, as follows: "Thanks to his dauntless courage, splendid leadership, and perseverance, a position captured by another battalion was successfully consolidated by the company under his command, despite intense machine-gun and rifle fire. His contempt of danger, splendid personal example, and devotion to duty inspired his men with the greatest confidence and enabled them to fulfil their task under the most trying and adverse conditions." The Major-General of the division in which his regiment was, speaks of him as a keen and courageous officer, and his Major says that he was leading his men in a counter-attack on April 6th, when he was killed by machine-gun fire. During the whole night before the attack he was very cool and collected, thinking only about his dispositions for the attack and the best he could do for his men. "I need hardly say he was absolutely fearless, and he seemed to have no other thought than to �put up a good show,' which he did. No leading could have been finer, and the troops responded admirably to his leadership."' (Malvernian, Jun 1918).